The vast region of Andalucía in the south of Spain is one of the most popular areas to visit in the whole country. With a unique culture different to that of Madrid or Barcelona, a world-renowned tapas scene, and a fascinating and diverse history spanning millennia, there are so many reasons to visit Andalucía that it can be overwhelming to prioritise what to see. There are three major inland cities that are popular to visit in the region and if you only have a limited amount of time to devote to an Andalucía itinerary, it can be really difficult to choose between Seville or Granada or Cordoba. All three cities have a ton to offer when it comes to Moorish history, incredible multicultural sites, and thriving, unique gastronomic scenes. Deciding between Cordoba or Granada or Seville can be very tricky, however, it is not impossible as all three have different things to offer travellers. Whether you’re interested in visiting a bustling metropolis, experiencing chilled-out vibes while taking in iconic monuments, or strolling through what was once the most important city in Western Europe, the choice between Seville, Granada, or Cordoba is not one to take lightly. When comparing the likes of Seville, Granada, or Cordoba, I will start with the biggest (by population) of the three first. Seville is the fourth-largest city in Spain and the capital of the Andalucía region. It is a vast metropolis famous for its imposing Cathedral (one of the largest in the world), Royal Alcázar, perennial sunshine and vibrant nightlife. It also has a lively student population and has one of the best tapas scenes in the country. No matter which Andalusian city you end up choosing, there is no doubt that Seville is a worthy contender. As the fourth-largest city in Spain and the capital of the Andalucía region, Seville is incredibly easy to access — both from elsewhere in Spain and Europe. As a transport hub, there are frequent bus and train connections to Seville from just about any major city in the country. Though it almost always makes more sense to use the bus if you’re visiting Spain on a budget, Seville is also accessible in just a couple of hours form the likes of Madrid or Barcelona by highspeed train. Due to its transport links and central location within Andalucía, Seville also makes a great base for exploring more of Andalucía beyond the city. For instance, the cities of Jerez de la Frontera and Cádiz are only about an hour away by bus or train and even the city of Córdoba is accessible as a day trip from Seville. This makes Seville an appealing option if you want to get a lot out of Andalucía in a short period of time, or without moving around a lot. If you plan to visit Seville as a city break rather than as a part of a longer Spain itinerary, then it will help you to know that Seville also has its own international airport. The Seville airport serves a number of destinations throughout Spain and Europe including cities in France, Germany, the Netherlands, and the UK. They also serve major airlines like Iberia and British Airlines and budget favourites like Ryanair and easyJet. All in all, if you’re trying to choose between Seville or Granada or Cordoba and the ease of accessibility is one of your prime factors, then Seville might be the best option for you. While making the decision between Seville or Granada or Cordoba, the things to do in each city is going to play into your choice. And while considering Seville, it is worth knowing that this massive city has a wealth of fun and interesting things to do. Again, as one of Spain’s largest metropolitan areas and boasting an incredible and complex history, there are of course numerous museums and monuments to visit in Seville that could occupy many weeks. However, most people will only spend a few days in the Andalucían capital and therefore need to figure out the top sites to see. Without a doubt, visiting the Seville Cathedral — a beautiful structure and the third-largest of its kind in the entire world — and spending a few hours in the gorgeous Real Alcazar are two of the “must-see” things in the city. However, it is also incredibly worth it to wander through Barrio Santa Cruz — Seville’s historic Jewish quarter — and to venture across the river to explore the former Roma barrio of Triana with its flamenco culture, tapas bars, and vibrant food market. If all of the historical buildings get to be a bit much for you, it can also be worth visiting the futuristic Metropol Parasol — known as Las Setas (the mushrooms) by locals — if you’re interested in seeing the world’s largest wooden structure and also experiencing some of the best views over Seville’s skyline from the top. As mentioned in the accessibility section above, Seville is also incredibly well-positioned for some day trips to other cities and towns in Andalucía and it is possible to see a lot of the region while not having to move around every other night. All in all, Seville has a lot of fun and interesting things to do that make it a solid option when choosing between Seville or Granada or Cordoba to visit. One of the highlights of visiting anywhere in Spain is to sample some of the country’s incredible cuisine, and Seville is no different. In fact, Spanish cuisine is so regional that it is a defining factor when trying to choose between visiting Seville or Cordoba or Granada and the food and dining style differs between all three cities, although they are in the same region. Seville is famous for its fantastic tapas scene and one could easily spend your entire time in the city bouncing from bar to bar and sampling some Sevillano specialities. What makes Seville different from a city like Granada, for example, is the fact that you can go to a bar and order multiple tapas off the menu. While tapas aren’t free like in Granada, they are often very affordable and the small dishes make a great way to sample a lot of different Spanish dishes without ordering too much and being wasteful. If you’re considering visiting Seville or Cordoba or Granada and one of your driving factors is a thriving nightlife, then Seville might be a good choice for you. The country of Spain is known to have the highest concentration of bars in the EU, with one bar for every 132 people in the country. And the city with the highest concentration of bars per person? Seville! Combine the sheer amount choice of nightlife venues with a young and international student population and you will be able to find that you can party into the wee hours of the morning almost every day in Seville. But Seville’s nightlife isn’t just centred around clubs and drinking. In fact, if you want to be a little bit more tame but still want to enjoy a vibrant nightlife, there is still a ton of option available to you. For instance, it is possible for your bar crawls to be all about the food and to hop from tapas bar to tapas bar until well after midnight. Also, if you want to experience a local flamenco in one of its cities of origin, then heading to a flamenco bar late a night (preferably in the Triana neighbourhood) is a great idea. In summation, Seville’s nightlife is varied and thriving and if you’re looking to visit Andalucía to experience a bit of Spanish nightlife, then Seville is an excellent option. If you’re looking to visit Seville or Granada or Cordoba on a tight budget, then you’re obviously going to want to know how affordable your city choice is going to be. All in all, Spain is known to be a fairly affordable destination to visit in general, however, there are some cities and areas that tend to be expensive than others. Seville, being one of the largest cities in Spain and a popular tourist destination, is perhaps the least affordable destination when comparing it to Cordoba or Granada. That doesn’t, however, make it an extremely expensive city to visit, especially compared to other major Western European cities and even compared to the affordability of Madrid or Barcelona. The museums and historical sites in Seville don’t cost that much (it is rare to pay more than €12 for an entry fee) and eating and drinking can be affordable as well. The main tourist sites in the city are easy to reach on foot and if you’re staying centrally, you shouldn’t have to worry about transportation costs at all while in Seville. By far the greatest expense when visiting Seville is going to be a night’s accommodation because that can be higher here than in other cities in the region. There are, however, many affordable options available in Seville ranging from private rooms on Airbnb to a dorm bed in one of the city’s many hostels. And while Seville might be more expensive than Granada or Cordoba, it doesn’t mean it’s inacccsessable to those travelling on a budget. this is one of the highest-rated hostels in Seville. Central located within easy walking distance from the Seville Cathedral and Alcázar, this hostel has a range of dorms and private rooms available and organises activities and social events. Click here to see their latest prices! Hotel Bécquer — This hotel, located within walking distance of all of Seville’s main attractions, has a number of clean, comfortable and air-conditioned rooms available for all kinds of travellers. There is also a wonderful rooftop terrace with a pool at this hotel to take the edge off of the hot Andalucía summer days. Click here to see their latest prices! Monte Triana — This boutique hotel is one of the highest-rated hotels in all of Seville. Located in the vibrant Triana district, they have numerous luxurious rooms available and are within 15 minutes walking distance to all of Seville’s main attractions either side of the river. Click here to see their latest prices! Airbnb — If you’re looking for something different in Seville for accommodation, there are numerous listings on Airbnb ranging from a private room in a local’s home to a fully furnished apartment. If you’re new to Airbnb, you canclick here to get up to $40 off your first stay! Now that we’ve discussed the merits of visiting Seville when trying to figure out where to go in Andalucía, it’s time to move onto another incredibly popular destination in the Southern Spanish region: Granada. Granada is famous as being home to the Alhambra, one of the most visited attractions in all of Spain — welcoming well over 2 million people each year. However, the city has a lot more to offer than just that one monument which makes choosing between it, Seville or Cordoba a difficult task. Granada is a popular city to travel to not only for foreign visitors to Spain but to Spanish citizens from elsewhere in the country as well. Also, Granada is a major metropolitan area and is home to one of Spain’s biggest and oldest universities, meaning that there is a lot of demand for transport into this mountain city. Because of all of the above reasons, there are frequent bus and train connections to and from Granada to most major Spanish cities in the area. 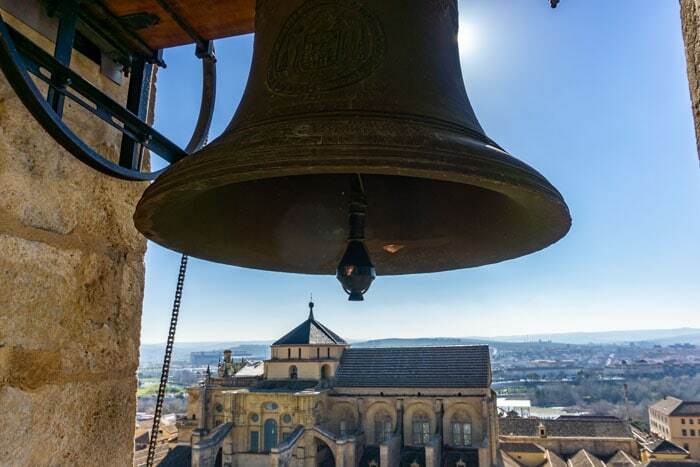 It is easy to reach Granada by bus or train from cities like Seville or Málaga, where there are numerous connections every day and it is even possible to visit Granada as a day trip from these cities. It is also possible to get to Granada from most other major destinations in Andalucía and the neighbouring Murcia region, making Granada very easily accessible if you’re travelling by bus or train. Granada is also home to its own, small international airport which serves many destinations within Spain and other areas of Europe, like cities in the UK, Germany, and the Netherlands. If you want to visit Granada by plane, you can also opt to fly into the bigger Málaga airport, which is only about an hour south of Granada and serves more airlines and destinations. Both have easy transport links into Granada city centre. Now that we’ve discussed the accessibility of Granada it’s time to explore the things to do in this historic Andalusian city. Abroad, Granada is famous for basically only one thing: the Alhambra. However, Granada has a lot more to offer than this amazing Moorish monument and, therefore, it is worth spending two or three days in Granada in order to see it all. Beyond the Alhambra, which takes at least 3 or 4 hours to see properly, there are numerous other things to see and do in Granada that you will certainly be occupied for a number of days should you choose to visit this city rather than Seville or Cordoba. Granada is a smaller city than Seville and doesn’t have the same metropolitan feel, so if you’re looking for a more “chilled out” destination in Andalucía, then Granada might be a good choice for you. The city sits tucked among the Sierra Nevada mountains and therefore is close to some of the best hiking in Spain and can even serve as a base to go skiing in the winter time. There are also the fascinating historic neighbourhoods of the Albaicín and Sacromonte that are worth exploring, as well as a thriving street art and alternative scene if that is what you’re interested in. Therefore, although it is smaller in population than Seville, there are numerous things to do in Granada that could easily occupy you for days. It more so comes down to your interests and what draws you to various destinations when deciding between Granada or Seville. Like Seville, Granada is famous for it’s cuisine and bustling tapas scene. However, this city does it differently than the aforementioned metropolis. You see, in Granada, tapas are free — or rather, included in the price of your drink. If you order a caña (a small draft beer in Spain), you will get a small (but sizeable) plate of food with it at no extra charge. While there are some bars where you can choose which dish you want with your drink, most you will find it is luck of the draw and you just get whatever you are given. This tapas culture is the beating heart of Granada’s gastronomic scene and there are a seemingly endless array of fantastic tapas bars serving everything from ultra-traditional Spanish fare, to freshly caught Andalusian seafood bussed in from Málaga daily, to hip, fusion-style tapas bars in trendy atmospheres. The food culture in Granada is enough to keep you occupied for days and it is unique to this city, therefore, if you want to experience perhaps the most affordable gastronomic scene in Andalucía, then it can be worth it to choose to visit Granada over Cordoba or Seville. Like Seville, Granada has a sizeable student population combined with a pumping late-night tapas scene and therefore, the nightlife in the city is a great one. There are numerous bars, cocktail joints, and nightclubs to choose from in the city and it is entirely possible to party until dawn in this city. However, although there are a lot of bars and clubs in Granada and you are sure to have a good time out on the town, it is not as well known for its nightlife in quite the way Seville is. Therefore, if you’re trying to choose between Seville or Granada or Cordoba and an epic nightlife is a determining factor for you, then Seville might be a better option. While we have discussed already the free tapas culture in Granada and the affordability of eating out in the city, we do need to cover how affordable the rest of Granada can be, especially when compared to the likes of Cordoba or Seville. Much like Seville, the biggest expense of Granada is likely going to be accommodation, where prices are equal (and sometimes slightly less) to the Andalusian capital. Like in Seville, there is ample choice when it comes to accommodation ranging from high-end boutique hotels, to private apartment rentals, to a dorm room in a backpacker hostel. Depending on your budget, it is certainly possible to visit Granada and not spend a fortune on lodging if you know where to look. When it comes to activity prices, the most expensive thing you could buy (if you’re planning on visiting independently, without a guide) is a ticket to the Nasrid Palaces, Gardens, and Generalife of the Alhambra which clocks in at a little less than €15. Given the sheer vastness of the monument and the amount of restoration that is needed to keep visitors enjoying it for years to come, it does seem like a fair price to pay. There are other monuments and museums worth visiting in Granada, however, you shouldn’t expect to pay more than about €5-8 for full-priced entry into anything. All in, Granada is arguably a more affordable city to visit than Seville, however, not by much. Cordoba, though certainly a popular stop on any Andalucía itinerary, is often treated solely as a day trip rather than a worthy destination all in its own. However, Cordoba has a lot more to offer than just its iconic Catedral-Mezquita and it is a definite contender of where to visit if you’re struggling to choose between Seville, Granada or Cordoba. Cordoba is a relatively populated, mid-sized city home to over 300,000 people in Spain and, therefore, is fairly well-connected to other areas of the country. There are numerous direct buses and trains from most major cities in Spain including Madrid, Barcelona, and Valencia (most of which terminate in Seville). If you are arriving in Cordoba from elsewhere in Andalucía, the city is well-served by both bus and trains and there are usually multiple connections to/from Cordoba per day. However, if you plan to visit Cordoba as a stand-alone trip or short city break, it is worth noting that there is no international airport serving the city and the closest one is Seville’s airport. Therefore, Cordoba isn’t a great option if you’re trying to decide between this city, Seville or Granada as a Andalusian city break. Now that we have determined that Cordoba is easily accessible from elsewhere in Spain but not from other European cities, we need to discuss the things to do in Cordoba. Arguably the main draw to visit Cordoba is its iconic Catedral-Mezquita. Cordoba’s main cathedral, situated in the centre of the old city was at one time a massive mosque when the city served as the westernmost caliphate in the Islamic world. To mark Cordoba’s importance, this mosque was constructed and added to over many years and is a site to be seen. However, after Cordoba fell to the Christians, the Mezquita was turned into a cathedral and it still operates as one today. The combination of Islamic and Christian architecture is a sight to be seen and you could easily spend a couple of hours exploring the monument. Apart from the cathedral-mosque, it is well worth going for a wander through the city’s Jewish quarter. The narrow streets and whitewashed buildings make way for some beautiful, flower-filled patios and windowsills. There is also the Royal Alcázar, which isn’t as impressive as the palace in Seville, however, it is also significantly less expensive to visit. Cordoba has a very laid-back energy and a different feel to the other cities mentioned in this article, however, both Seville and Granada have a lot more when it comes to things to do and Cordoba can easily be treated as a day trip. Eating out in Cordoba offers it’s own delights as it has a tapas culture that is similar to what is found in smaller cities throughout Andalucía. In general, you can expect Cordoba’s tapas scene to be fairly similar to what you will find in Seville, given the proximity of the two cities. You have to pay for tapas here, however, you can also order food in 3 different sizes (as you can in Seville, as well). There are numerous great places to eat in Cordoba and food also tends to be slightly less expensive than in Seville or Granada when eating close to the main sites and monuments, more due to the fact that the city doesn’t see quite so many tourists. 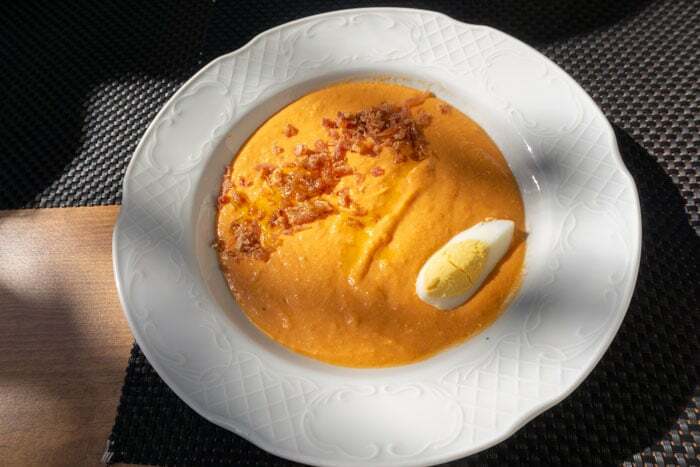 Cordoba also has some of its own dishes to which it lays claim, like salmorejo (a cold tomato soup similar to gazpacho) and flamenquín (a rolled pork dish). All in all, however, if you’re trying to decide between visiting Cordoba or Granada or Seville, the latter of the two cities probably have a better food scene. Like most cities in Spain, Cordoba is no stranger to a late night and has a number of bars and a few nightclubs that can satisfy your party itch should you choose to visit. However, if you’re a nightlife junkie and you’re struggling to choose between Seville, Granada or Cordoba, this city might not be the best option for you. While there is certainly a nightlife in Cordoba, it pales in comparison compared to the likes of Seville or Granada when it comes to nightclubs and similar venues. However, if you are generally more of a fan of a late-night bar, a few beers, and maybe some good music rather than a night dancing until you drop, then Cordoba might be a better option for you. There are far more options for a more mellow night out than a particularly wild one. That is why Seville might be a better option if you’re one who likes to travel for a good party. When deciding between Seville, Granada, or Cordoba and your bank balance is the deciding factor, it might a good decision to choose to stay a few nights in Cordoba rather than the other two cities. While Cordoba certainly is no stranger to the well-trodden Andalucía route, it is often regarded as solely a day trip from Seville and therefore accommodation in particular tends to be slightly more affordable than in Granada or Seville. Otherwise, food prices are also slightly more affordable compared to Seville, however, a free tapa isn’t common so it may not be as affordable as Granada. It is easier to avoid eating in a tourist trap in Cordoba, we found, as all you need to to is walk a hundred metres or more away from the Mezquita and you will find that prices will be lower significantly. Hesperia Córdoba – This is a wonderful boutique hotel that is located on the banks of the Guadalquivir river. All rooms are extremely modern, clean and they also have a rooftop pool to take the edge off a hot day. Click here to see their latest prices. Airbnb – There are a number of private rooms and full apartments available on Airbnb that can be a great budget option if travelling as a couple, as a family or with friends. Click here to get up to $40 off your first stay with Airbnb! So after considering all that is lined out above, should you visit Seville or Granada or Cordoba? Well, it all has to do with what exactly you’re looking for in an Andalucía trip. If you are looking for a metropolitan city with a thriving nightlife and a great food scene, then Seville is a great option for you. It is also a great choice as a base for a longer Andalusian trip as it is easy to take day trips from the city. If you want an easy city break but want more chilled out vibes, iconic monuments, and a fascinating multicultural history, then Granada is the choice for you! It is also a great option if you would rather take some day trips into the nearby mountains for some hiking or skiing, depending on the season. If you are visiting Andalucía as part of longer trip through the region or Spain in general, then spending time in Cordoba is a great option. 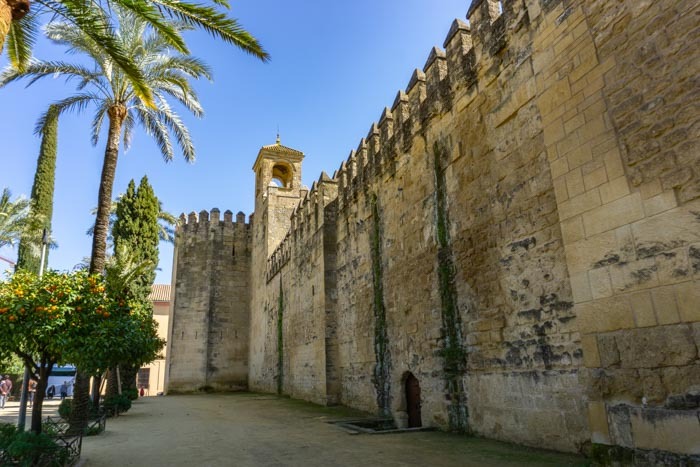 However, if you only have a limited amount of time, we would recommend visiting Cordoba as a day trip from Seville and opting to spend a couple of nights in Granada instead. However, if you have 10 days or more to devote to Andalucía, it is well worth spending a few nights in each city in order to truly get a feel for them all. Deciding to visit Seville or Granada or Cordoba can be a difficult choice, especially considering all the different things that each city has to offer travellers. No matter which you choose, you will undoubtedly have an amazing trip. Are you planning to visit Seville, Granada, or Cordoba? Have you been to any of these cities? Let us know in the comments!